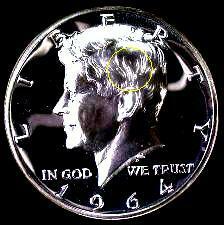 The Accented Hair variety of the Kennedy Half Dollar was the created from the first obverse die used to produce the proof coins in 1964. So it exists only in proof and only for the year 1964. There is a story that says, JFK's widow Jackie Kennedy did not like the design of the hair on the President's bust and demanded that it be revised. 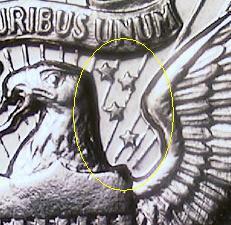 If true the US Mint retooled the die just to comply! 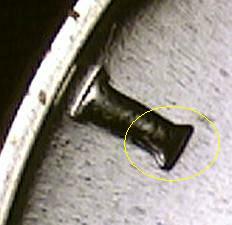 Authoritative sources think that approximately 1% to 3% of the production of 1964 proof Kennedy halves are the first obverse die, or the Accented Hair variety. If true, it would put the population at around 120,000 pieces before nearly 40 years of attrition. The Accented Hair tends to be plagued by many problems to a much greater degree than the second obverse die; weak strikes, milk spotting, glue spotting, dull lifeless mirrors, and most of all, obverse hair-lining. 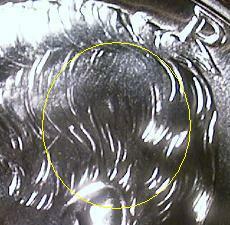 Because of these problems, it is difficult to find any 1964 Proof Kennedy Halves that are a high grade. 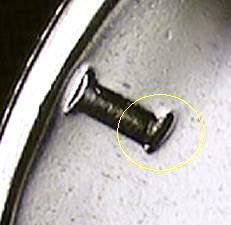 Genuine Obv-Rev cameo pieces in a high grade are very scarce. There are multiple diagnostics used to determine the variety. On the Accented Hair, there is an extra long strand to the left with a shorter strand running parallel to the right of it about 50% of the length of the long strand. 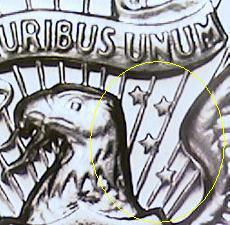 To the right of the ear is a heavier cluster of strands that doesn't exist on the regular coin. This is what forms the "wishbone". 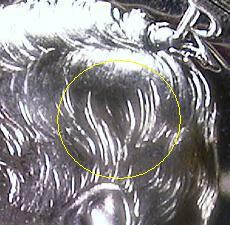 Note that it is common for dealers and collectors to confuse a very strongly struck regular coin with the Accented Hair variety. 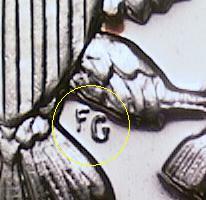 A strong strike is not what produces the coin, but rather the correct obverse die (#1). In addition to the obverse diagnostics for detecting the variety, there are two reverse diagnostics to check. The first is what is known as "broken rays". 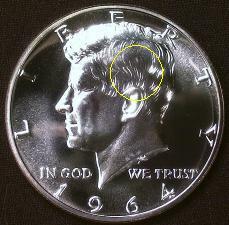 Note how the end of the "G" on the regular Kennedy has serifs at the top, and the G of the Accented Hair has straight sides with no "flair". Something important to note about the reverse diagnostics is that they are not 100% reliable in determining the variety and should not be used as a stand-alone assessment tool. 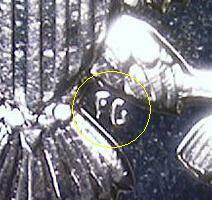 This is because reverse die #1 was also paired with obverse die #2. These are known as the "transitional variety" and, while rather uncommon, they do exist.